Whilst enjoying the half term break from work we have been getting a few household jobs done. One job I have been considering doing involved moving my radio gear from one side of the room to the other. I made a metal racking system that has been on standby and today was the day I was going to get to use it. I began by dismantling my radio equipment carefully and then I moved one coax at a time avoiding any possible mix ups. I decided to run a new earthing wire to the outside, where I soldered it to a brass grounding spike. I made the box section rack big enough to house all of my equipment and rigs including my PC tower. It fits nice and snug inside a corner alcove wear I can operate the various rigs and bands nice and comfortably with ease. The new layout is more spacious and user friendly than the previous shack set up and better still, the YL likes it! I took a few pictures showing the new radio shack layout with my home brew rack housing my YAESU powered station. Close up view showing the sturdy construction of box section tube joined together using the MIG welding process. 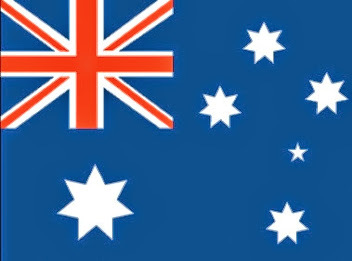 Up early as usual and listening around 21.290MHz this morning, I heard a strong signal coming out of Australia. It was coming in at my station at around 5/7 to 8 from the Ham station of VK2GWK, operator - Henk. VK2GWK - Henk was calling CQ DX so I gave Henk a quick call back making it back around the globe into Henks QTH which is nearby to Sydney, making another great DX qso. During the contact I was running my FT1000mp MK-V hooked up to the CW-80 wire antenna. Henk was beaming long path to my QTH coming in loud and clear as seen in the video. After our qso I checked VK2GWK on QRZ.com and found a neat link by Henk where I downloaded his QSL card for our recent QSO. Great idea Henk! Tnx & 73. Another advantage of having a 7 month old baby Daughter is that I am up and awake very early. Lucky for me I can also catch up with some long path DXing on my Ham Radio Station. 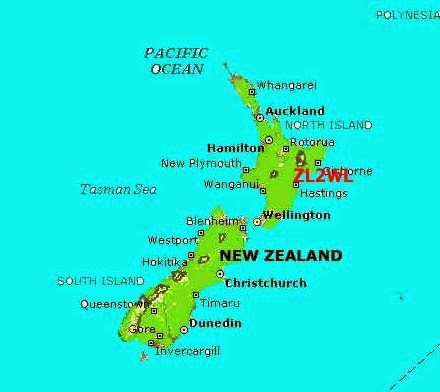 This morning at 06.25 utc I was tuning around the 20m band when I heard Neil - VK2IZI coming through with a 5/9 signal out of Australia. 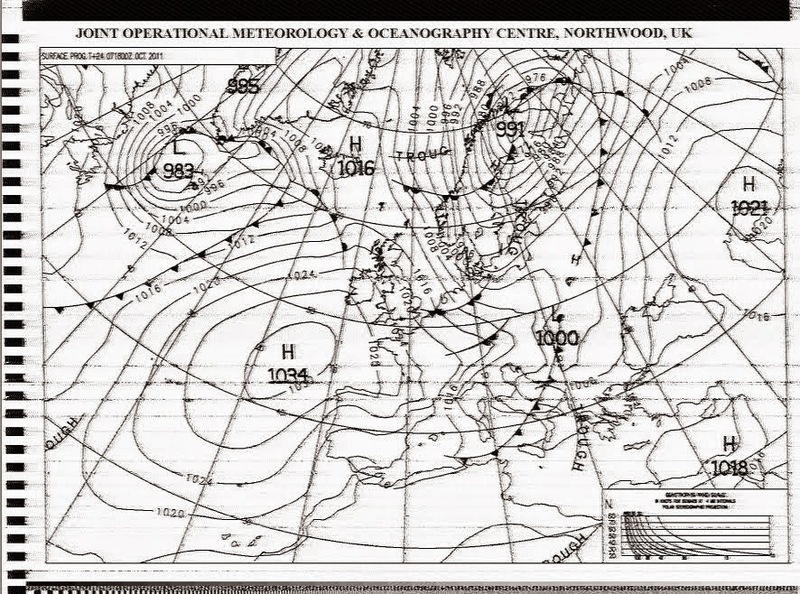 The exact frequency where I caught up with Neil was 14.178MHz, I gave just one call using the Hustler 6BTV which was received long path by Neil 5/7. I was surprised the vertical was working so well for me, I did my usual comparison test whilst receiving Neil on my wire Carolina Windom, which was almost the same as the vertical. The wire RX the signal from VK at the same 5/7 to 5/9 strength, so I decided to stick with the vertical during our QSO. 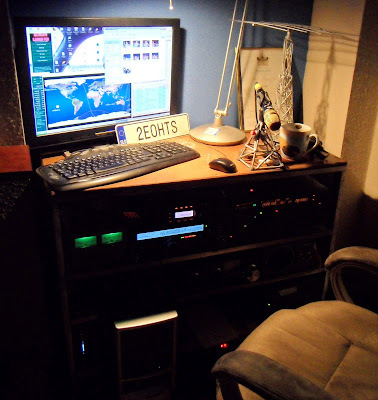 Neil - VK2IZI is located in the Blue Mountains near by to Sydney and was running an Optibeam antenna system. The Optibeam was working very well for him. Yesterday morning I heard lots of Japanese Stations coming through up and down the HF bands, its great catching the bands so lively during the early morning openings. Well that's it for now, guess its time to change a nappy and get get some more coffee, happy DXing catch you on the long path! 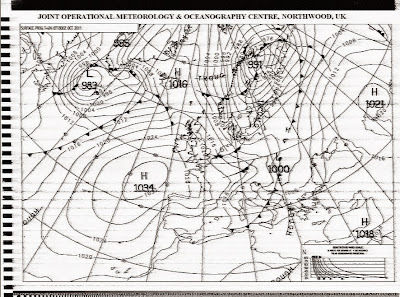 Strong winds have continued throughout the day so I decided to receive some forecast information from Northwood RN (London). 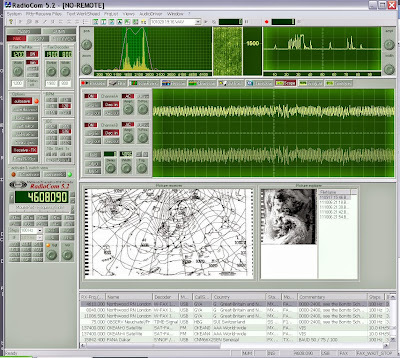 I tuned my receiver to 4.608.09 MHz USB where I decoded a +20db signal using Radiocom 5.2 on my P.C as seen in the screenshot. 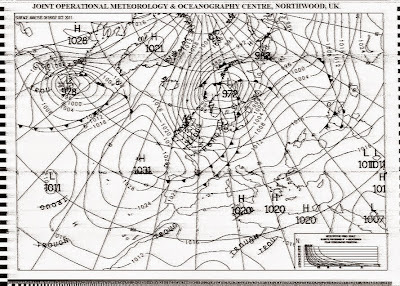 The surface pressure analysis received at my location shows tightly packed isobars across the UK indicating strong winds. It's 54 years since the launch of the Russian satellite Sputnik. 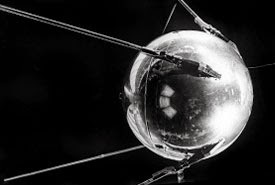 Launched on Oct 4, 1957 Sputnik paved the way for satellite communications which has been enjoyed by many radio amateurs around the world. "The satellite had a one-watt, 3.5 kg (7.7 lb) radio transmitting unit inside, developed by V. I. Lappo from NII-885, that worked on two frequencies, 20.005 and 40.002 MHz. Signals on the first frequency were transmitted in 0.3 sec pulses (under normal temperature and pressure conditions on-board), with pauses of the same duration filled by pulses on the second frequency. 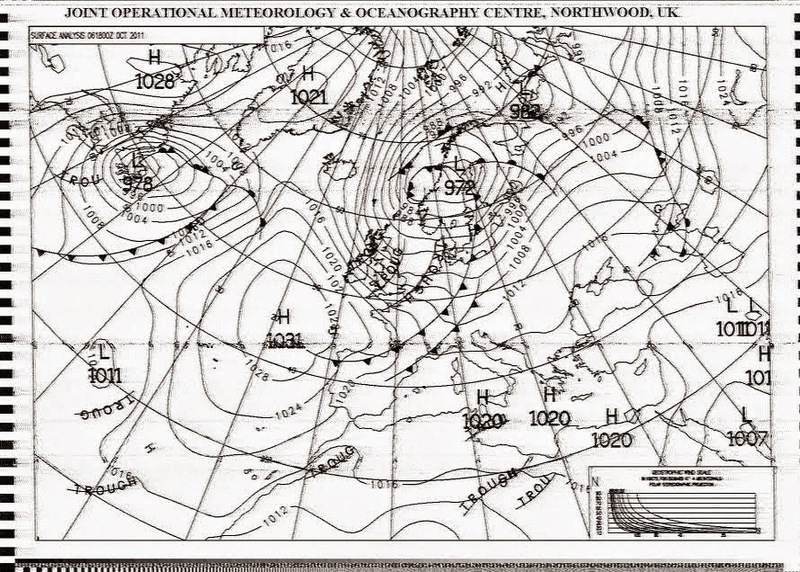 Analysis of the radio signals was used to gather information about the electron density of the ionosphere." The satellite travelled at a whopping 18,000 miles an hour. Its elliptical orbit varied from between 584 miles and 143 miles from the Earth which it circled once every hour and 36 minutes. As well as technologically paving the way for satellite communications Sputnik heralded an important era of the Cold War, heightening tensions between the US and Russia which would take many years to thaw. 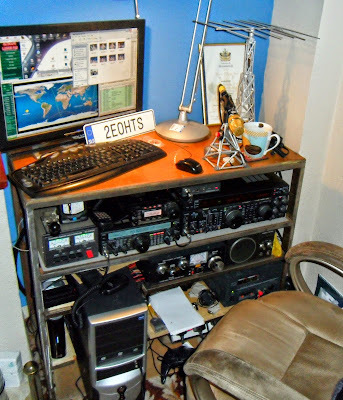 Now on the ham bands Russians and Americans share many happy QSOs and rather than being a signal of suspicion and discontent Sputnik is seen as a key point in Ham Radio history. So, Happy Birthday Sputnik! I hope to be making some satellite QSOs in your honour to celebrate!